At the start of a new year my mind is always firmly focused on one thing and one thing only - travel plans! 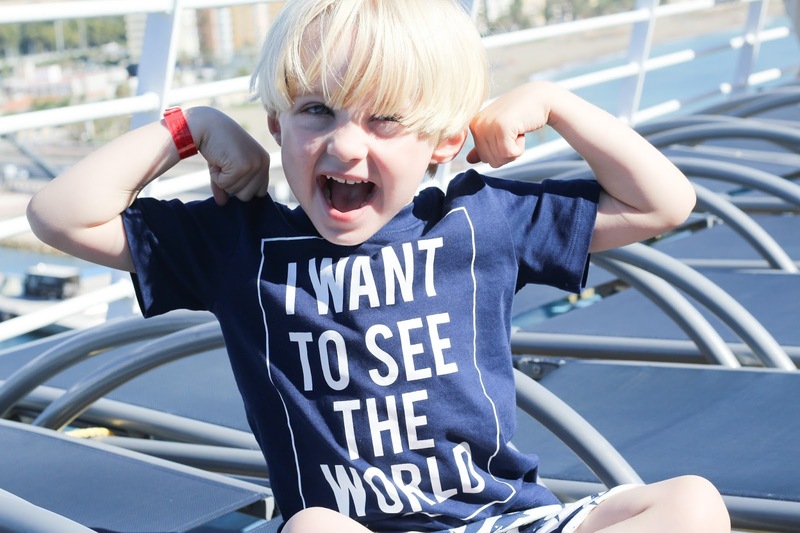 Nothing gets me the dark, dank January days better than thinking ahead and planning out adventures for my boys and I to enjoy over the coming months - and since conquering my fear of flying thanks to Easyjets Fearless Flyer course, I'm finally able to really dream big! My google search history from the last 48 hours shows searches for everything from New Years weekends in New York City to family-friendly villas to rent in Tuscany, and pretty much everything in between! The list of places I'd like to visit with my family is almost endless - from far flung destinations like Hawaii, Australia and many of the United States Of America, to those closer to home such as Ireland, Scotland and Yorkshire (none of which I've ever been to!) - and narrowing it down to choose where to head to first can be difficult! We're restricted of course by budget - it'll take us a while to save up for the likes of Hawaii!, by school and work holidays - there's only so many trips you can take in a year!, and by the children's ages - I know that lots of people think that should never be a factor but when you have 3 little ones all so close in age and all under 5 I think things like travel time and style of holiday have to be considered in order for the holiday to be enjoyable for everybody with minimal stress involved! So I've drawn up a list of countries and cities we'd like to visit sooner - those that are a little nearer, easier to navigate and more child friendly. One of those places is Tuscany. Italy had always been top of my "Countries to visit" list ever since childhood - the mix of fabulous food, culture and fashion drew me to it but until last year I'd never actually set foot there. But during our med cruise I finally found myself standing on Italian soil! We visited Rome first followed by Florence in the beautiful region of Tuscany - and although we thoroughly enjoyed our day there, there is only so much you can see of a city during a cruise visit and our time there simply whet my appetite for more! 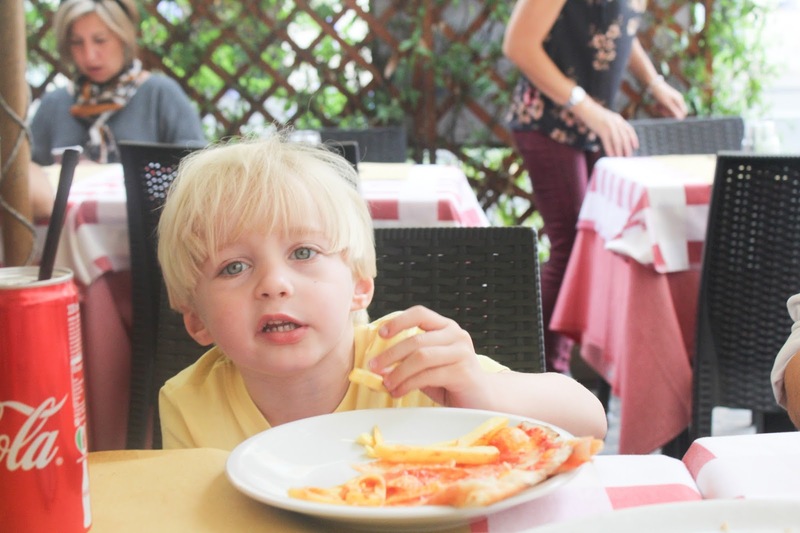 I really think that a visit to Tuscany could be the perfect summer holiday for us, and here's what makes it so appealing for families with young children. 1. 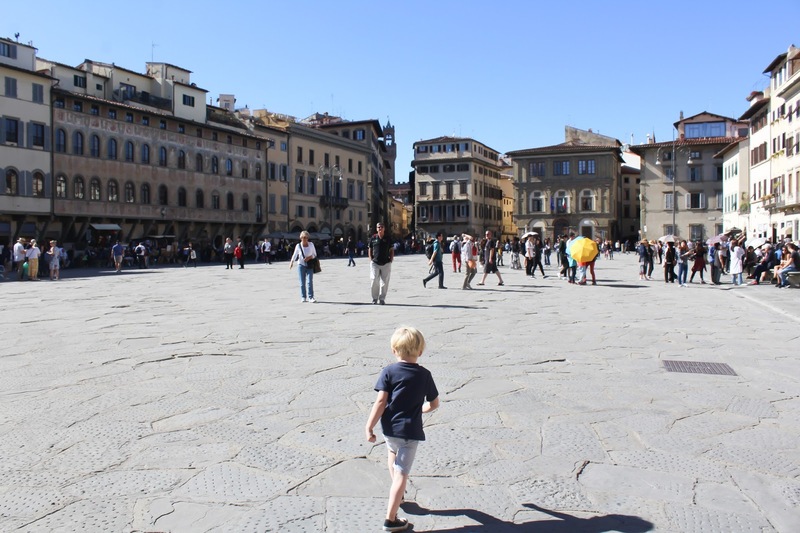 Italy is about as Child-Friendly as destinations get! This was so apparent to us even during our short-time spent there last Summer, I remember asking our tour guide for advice on which restaurants we should choose for lunch in Florence with our toddlers in tow - concerned that these picturesque fine dining establishments would turn their noses up at the arrival of tiny tearaways - but my fears were soon put to rest when she simply laughed and said "Any restaurant at all! This is Italy, we love children! They go wherever you want to go and they will be more than welcome!" 2. There is so much variety on offer! Tuscany offers everything you could possibly wish to experience - from fabulous food, to cultural and interesting museums, amazing shopping opportunities, and even sandy beaches and intriguing caves and grottos to explore! The possibilities are endless and there is surely something to pique the interest of even the most difficult-to-entertain child. 4. There is so much to do! Whether it's a visit to the enchanting Pinocchio park near Pisa which is a beautiful garden decorated with statues from the fairy tale and hosts a small 1940s amusement park and puppet shows at weekends, or a visit to Piccolo Mondo amusement park which offers a 5D cinema and the highest slide in Tuscany - or perhaps even a visit to Pistoia Zoo, there is so much to keep your whole family entertained and enthralled for your whole holiday. 5. The Food Is Perfect! One tricky aspect of travelling with little ones can be the local food on offer. 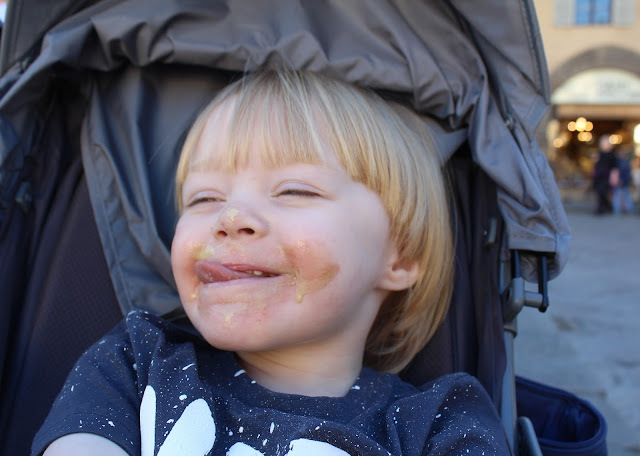 As a fussy eater myself I've struggled in the past to find anything that suited my tastes when visiting certain areas of countries like Spain where a lot of seafood and not much else was on offer, so travelling with little ones who don't like to venture too far from the food they're used to eating can make things difficult. In Italy, we found that our boys were just as excited about dining as we were - they knew that we were in the home of Pizza after all, their favourite food ever! 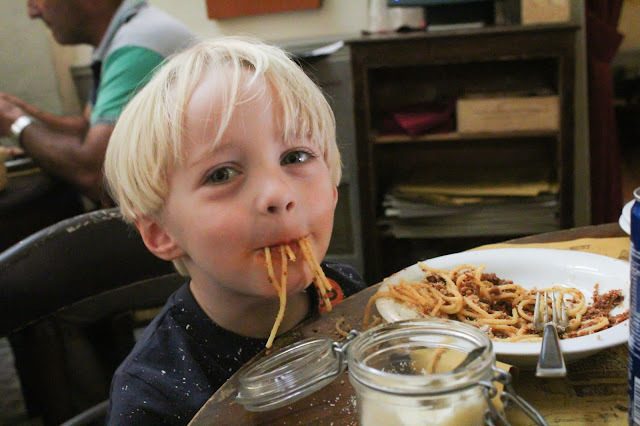 Most restaurants offer child portions and are super accommodating making dining an enjoyable experience for everyone. 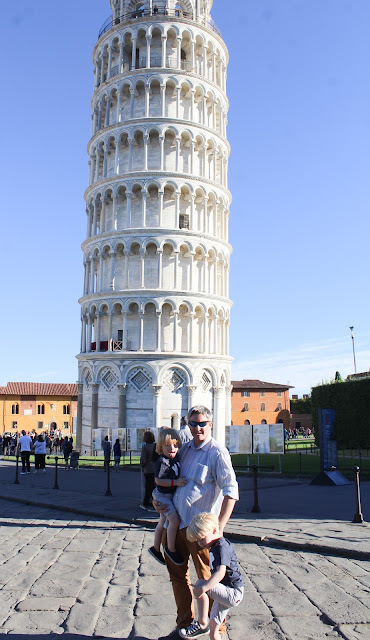 Our experience of Tuscany last year confirmed for me that Italy is a beautiful and enchanting holiday destination for family, and with flight times from just over 2 hours from the UK and airlines like Easyjet offering low cost flights to Pisa - it couldn't be more appealing! So for these reasons and more, we've put Tuscany firmly at the top of our "Must Visit" list. Have you visited Tuscany with children? Would you recommend it? I'd love to hear your thoughts!